When will be Como dice el dicho next episode air date? Is Como dice el dicho renewed or cancelled? Where to countdown Como dice el dicho air dates? Is Como dice el dicho worth watching? 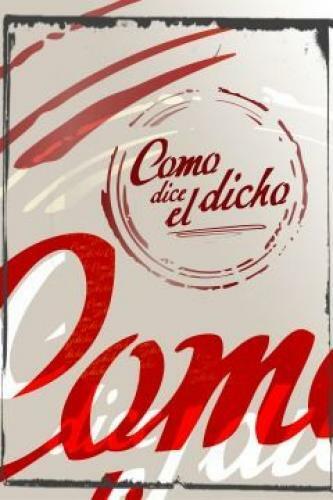 Como dice el dicho (As the saying) is a telenovela set in Mexico City, mostly at a coffee shop named "El Dicho" owned by Don Tomás, where he is helped by his granddaughter Isabel (Seasons 1–4) and his employees Poncho (Seasons 1–5) and Marieta (Season 4–present). Episodes usually center around the customers, who most of the time are dealing with a problem. Throughout the episode a saying is written in one of the white walls of the coffee shop, either by Don Tomás, one of his employees or by a customer. The saying that is written is usually describing the situation of what is happening in the particular moment it is written. Como dice el dicho next episode air date provides TVMaze for you. EpisoDate.com is your TV show guide to Countdown Como dice el dicho Episode Air Dates and to stay in touch with Como dice el dicho next episode Air Date and your others favorite TV Shows. Add the shows you like to a "Watchlist" and let the site take it from there.